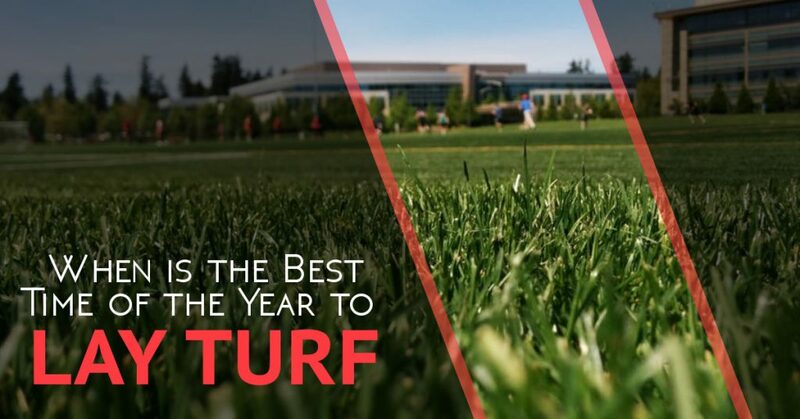 Unlike grass seed, which takes around 3 weeks to grow into a walkable lawn, turf is an instant option, ideal for families with kids and pets. Laying turf is a simple garden activity and you can get away with placing turf at any time of the year. However, the best time of the year to lay turf is in the autumn, with spring a close second best. Here’s what you need to do to ensure your turf is happy whenever you lay it. Spring is an ideal time of year to lay turf, especially if your lawn hasn’t survived the winter. At this time of year, the warm soil should be moist enough to tempt the grass roots down and secure the blades firmly. If you have had a problem with moss over the winter, make sure that you have removed it all by scarifying using a handheld rake before adding a new layer of fertilizer. This will ensure that your new turf isn’t affected by any remaining spores. As the weather warms up, you will need to water your turf to ensure that it doesn’t dry out. Give it a good drink once a week or so, when the grass blades start to droop. This will allow the water to sink below the surface of the soil and encourage good root growth. Don’t be tempted to set your lawnmower to a low height just yet, though, give the grass plenty of time to grow and then reduce your mowing height over a few weeks, never taking more than 20% off the height of the grass. The summer months are the most likely time that you will want an instant lawn. Though this isn’t the best time of year for laying turf, it is probably the most convenient and with a bit of extra care, you shouldn’t have a problem. Make sure that the soil is moist by giving it a good water a day or two before you plan to lay the turf. As the warm weather can damage your turf, make sure that you unroll it as soon as it arrives. This will ensure that the grass doesn’t dehydrate and wilt in the heat. Once the turf is laid, give it a good water to settle it in. You will need to continue to water your turf more regularly than you would throughout the rest of the year because a lot of the water will evaporate in the sun. Setting sprinklers to come on in the early morning is a good idea but you could just as easily use a hosepipe. Try not to water in the midday sun as this is the hottest part of the day or watering in the evening as this may encourage disease and other pests like moss. Keep mowing to a minimum and don’t be afraid to leave some grass cuttings on the lawn. They will add an extra layer of protection from the sun and return nutrients to the soil. Autumn is possibly the best time of year to lay turf as the soil is still warm from the summer heat and you are less likely to want to go on the lawn giving your turf plenty of time to settle in and take root. During this season, the rain will provide most of the water for your turf. In fact, you need to make sure that the soil isn’t too wet when you lay it. Similarly, you shouldn’t mow your newly laid turf during this season – instead, let it grow slowly. Do take time to remove any weeds that have grown over the summer and to rake over the soil to ensure a level surface. This will make a huge difference to the overall look of your lawn once it is established. This is the most difficult season to lay turf successfully. The soil is more likely to be solid and frosty, plus you may risk damaging your turf if it has frozen in its rolls. 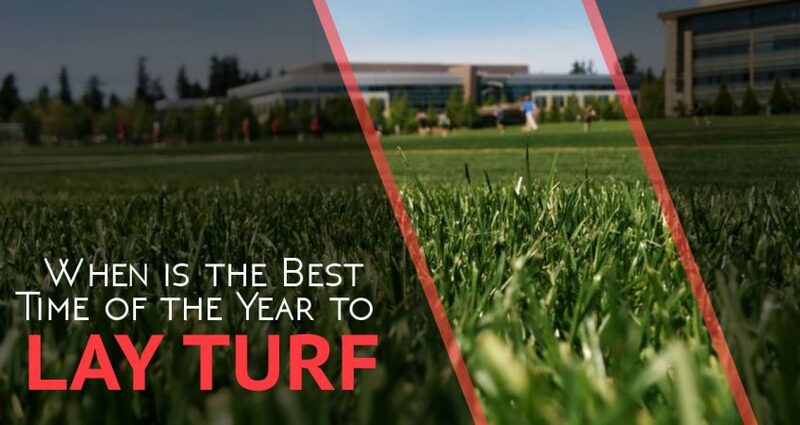 However, it is possible to lay turf on days when the soil isn’t frozen solid and you can wait for the best day as the turf will last a little longer than it would in the warmer months. If you have the option, it is usually better to wait for the spring before laying new turf. At this time of the year, you are only going to be cold and miserable lugging water-logged turf around and the roots won’t establish until the spring anyway. It’s better to wait until the days get longer and warmer.